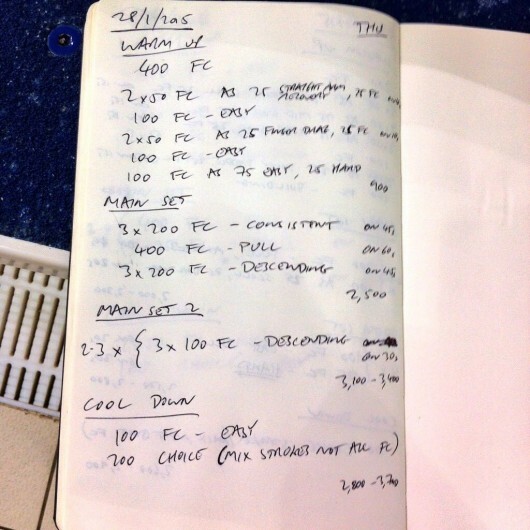 Three more triathlon swim sessions for my local club. The first was delivered in my absence (hence no photo), but I was back poolside for the remaining two. As I was writing the set for someone else I kept things simple. 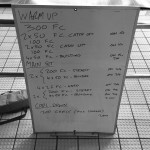 Some kick, but mostly it’s a matter of getting on and swimming. 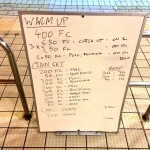 We opened with sculling and doggy paddle to work on the front crawl catch. Wednesday sessions have grown in size making it more challenging to keep on top of drill technique, but I think most of the group did well. 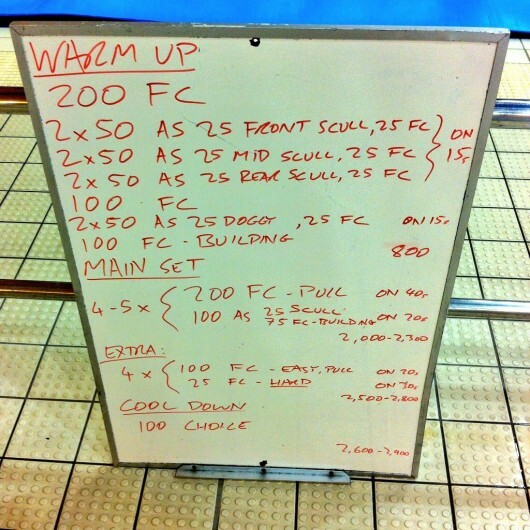 Sculling was also part of the main set, each rep featured 100m transitioning from 25m scull to a building 75m swim. 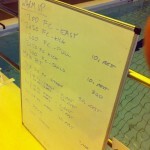 The idea: to reinforce feel for the water and carry that through to the stroke. As we did last week, pull buoys were placed down by the ankles when used. This morning’s session opened with some recovery drills – straight arm and finger drag. I find these tend to help encourage rotation and good reach as part of the recovery. 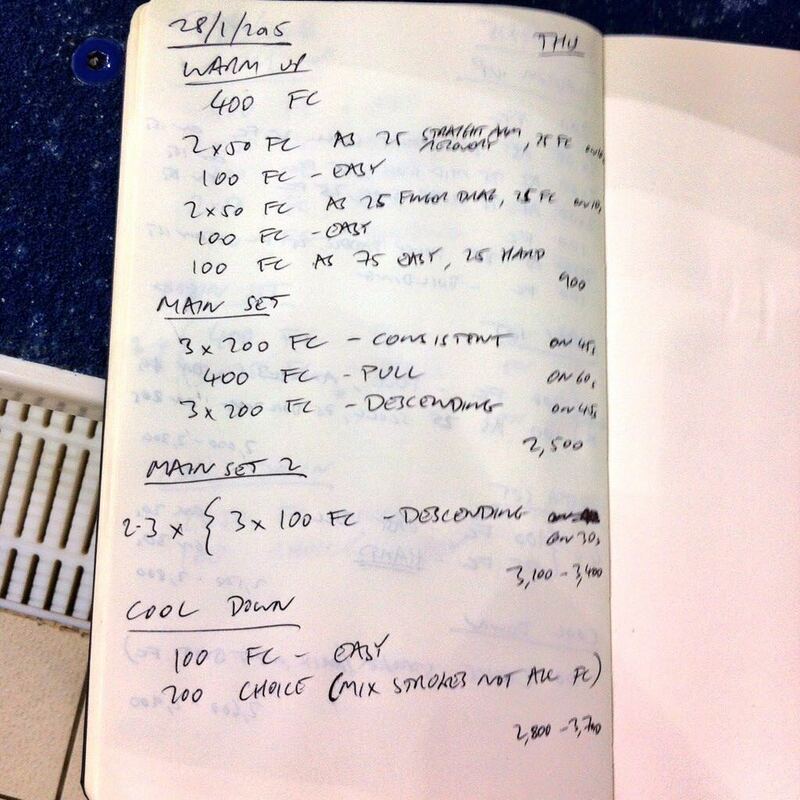 The main set was quite simple, a lot of swimming, most of it steady. In a simple session like this I have my swimmers focus on areas of weakness within their strokes. 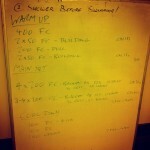 As is normal I finished with some individual technique work for a few of the swimmers.